With Powerful Laravel CRUD Generator (PLMB) you can create your custom module with custom fields and UI in 10 second. 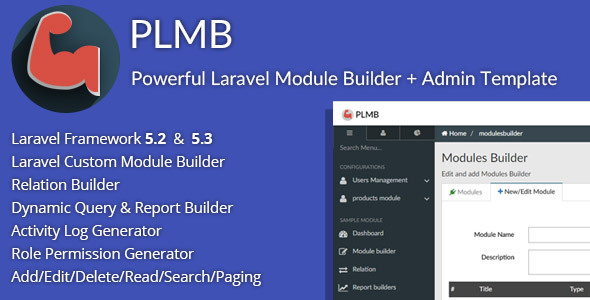 PLMB is tool that generate your CRUD Model, Controller, View, Migration automatically. Also you can define name, data type, length, validation rule and HTML control. The module created that add to admin panel automatically. PLMB Laravel CRUD Generator integrated with YEP Golabi Admin Template to generate blade view.